Historic service photographs will be projected onto the Windsor Carpark, on the corner of Main North Road and Philip Highway, in the week leading up to local services. The visual installation will also form part of the Overnight Vigil opening ceremony and Dawn Service within Smithfield Memorial Gardens. The fitting tribute aims to remember local servicemen and women for one of Australia’s most important national commemorative occasions and reflect on the many different meanings of war. No place was unaffected by war with the City of Playford as no exception. More than 170 people from the Playford area enlisted in the Australian Imperial Forces during World War One with many of these soldiers not returning home. Services are an opportunity to pay respect to more than 100,000 who have given their lives in service, as well as those who continue to serve in all wars, conflicts and peacekeeping operations all over the world. 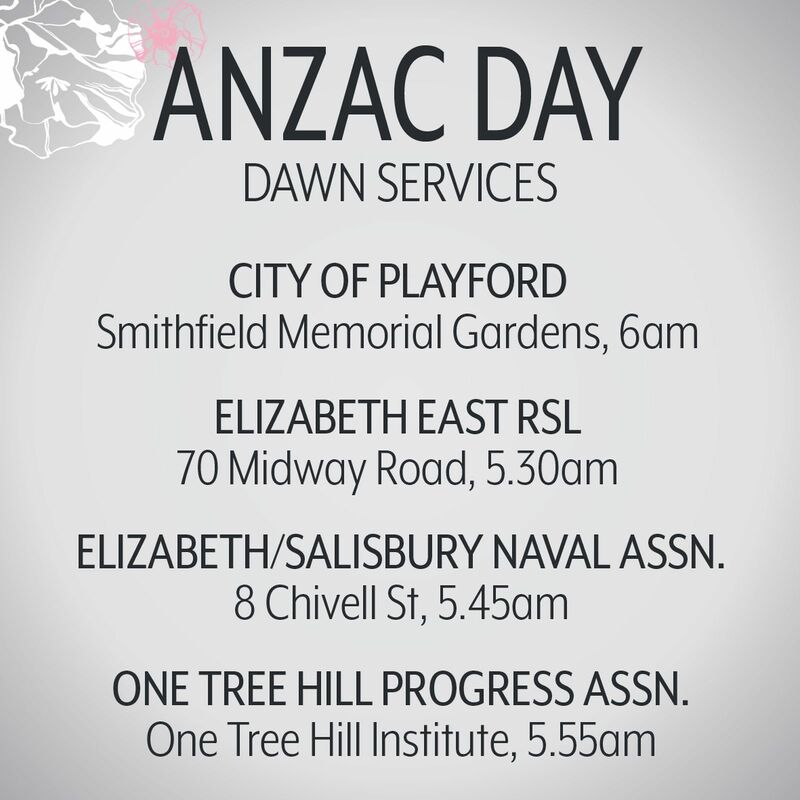 The City of Playford has a proud tradition of commemorating Anzac Day with a local service commencing on its eve. A youth-focused Overnight Vigil featuring community service groups will be held on Wednesday 24 April at 7.30pm, followed by the Dawn Service at 6am on Thursday 25 April at the Cross of Remembrance Memorial on Anderson Walk, Smithfield. Please see below information on local services near you.